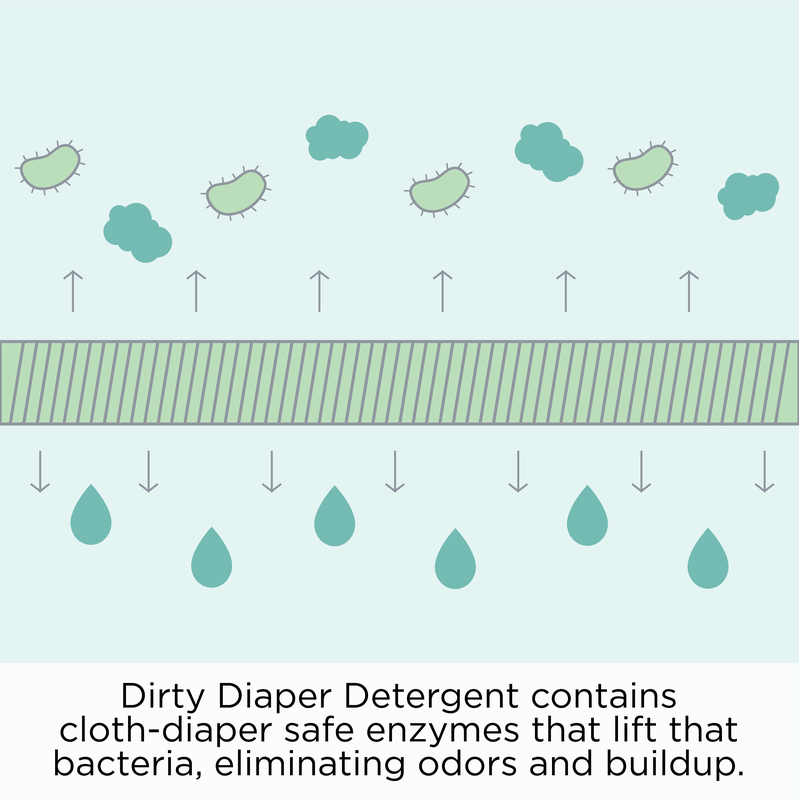 Like our everyday detergents, Dirty Diaper Detergent was created with parents in mind. 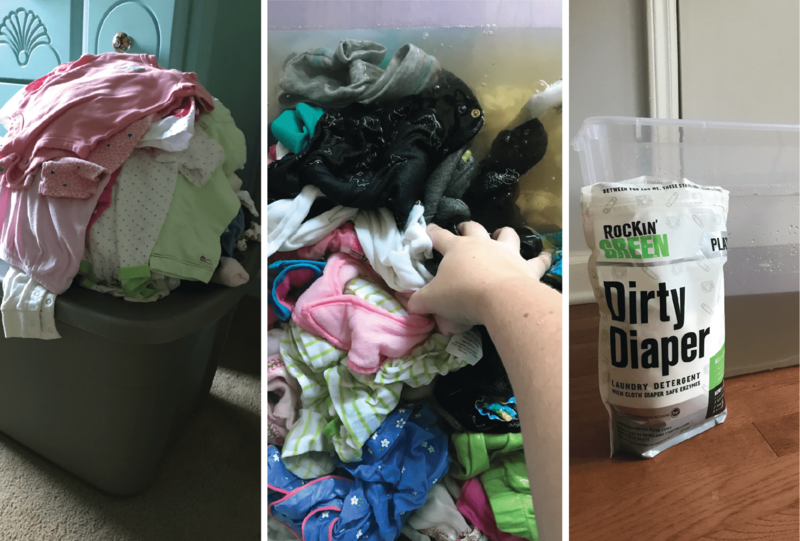 This detergent makes cloth diapering less of a frustration for those who want super clean cloth diapers, (who doesn’t?) but need a detergent that’s also gentle and safe for their baby. This is the detergent that does both. 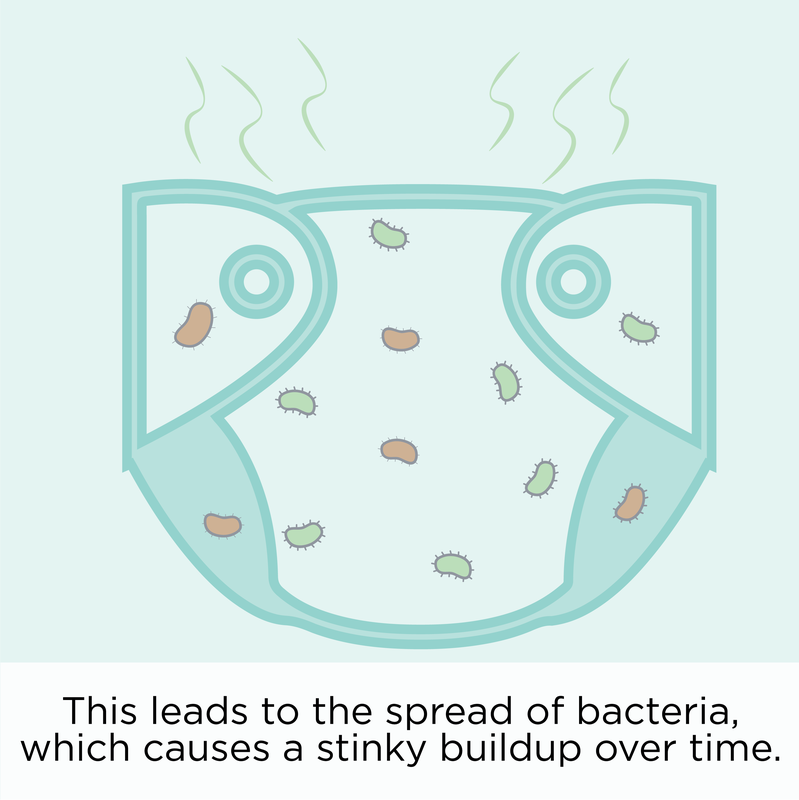 It removes stubborn biological residues and funky odors that typically stay behind in cloth diapers, but is totally safe for a baby’s sensitive skin. 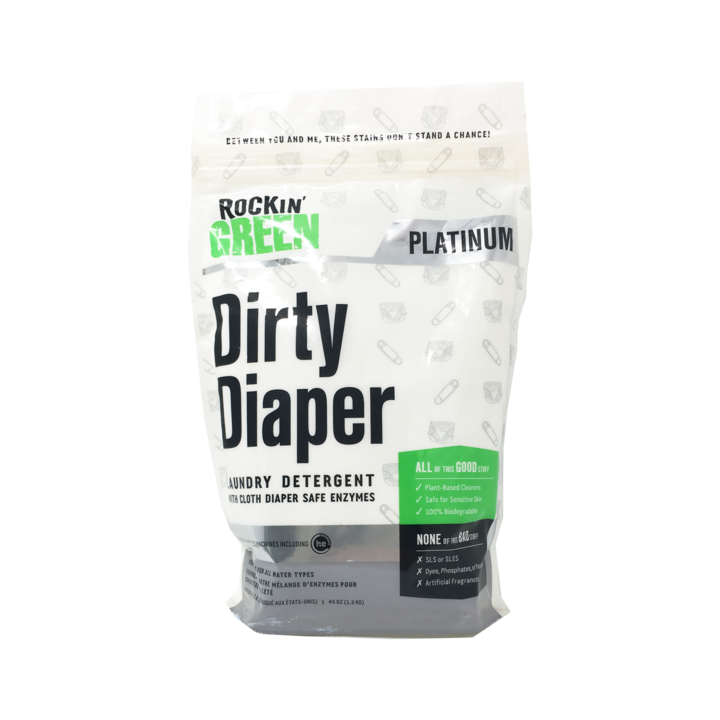 While Dirty Diaper Detergent includes a special enzyme blend formulated for cloth diapers, it's also great for baby and children's clothing. 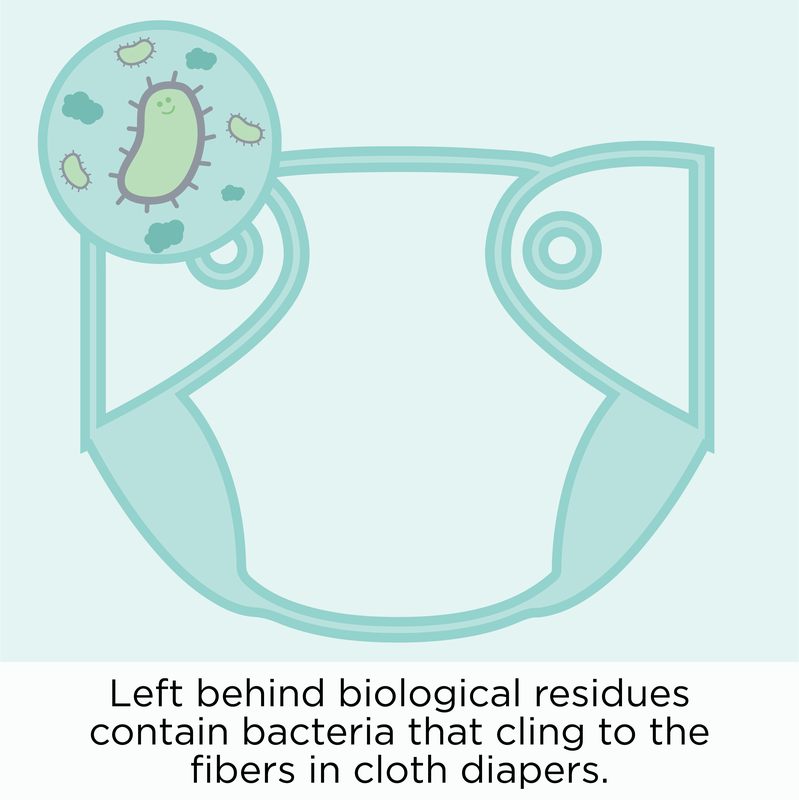 Use Dirty Diaper detergent on anything from bibs and burp cloths to crib sheets. The enzyme blend in this detergent is created to get deep into those delicate fabrics and gently remove residue, while extending the life of the fibers rather than wearing them down. Rockin' Green eco-friendly, biodegradable cleaning products are for families that care about their health and their planet. 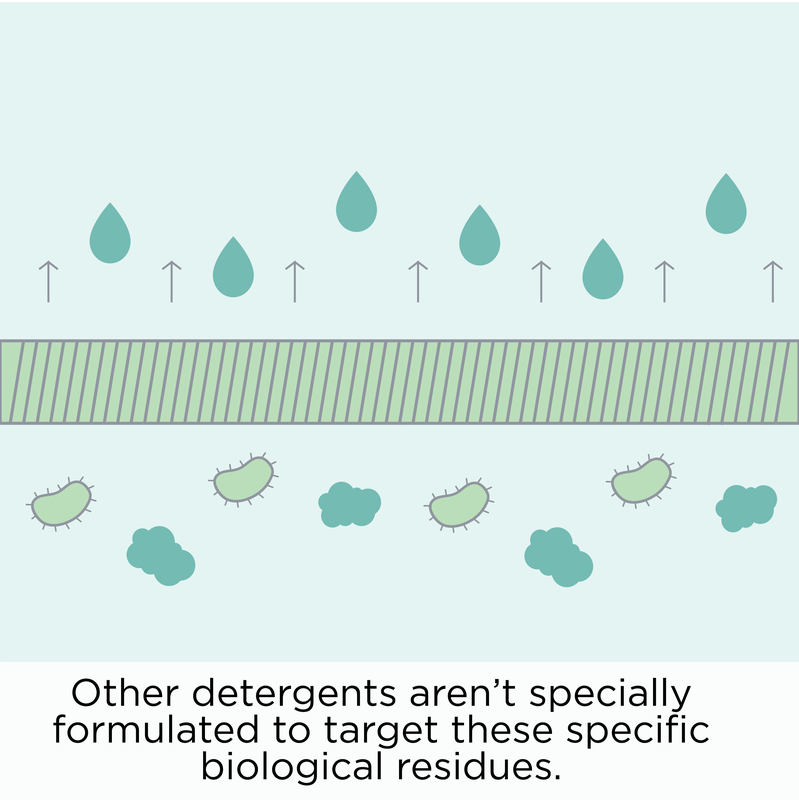 Our detergents are gray-water safe, and our naturally derived scents are clean rinsing. We never use sulfates or phosphates, optical brighteners, or harmful chemicals. Our products are vegan, sustainably manufactured, free of parabens, and sent to your home in recyclable packaging. "I couldn't believe what came out of our CLEAN hand-me-downs."